The Astropy project is made possible through the efforts of community members that perform numerous important roles. This encompasses a broad scope of responsibilities ranging from direct package development to communication, distribution, and managerial activities. In this section we list the identified project roles and responsible parties, both to formally acknowledge those performing these duties and to solicit volunteers for these roles to ensure sustainability. See the Astropy project role responsibilities section below for a full description of each role. Ideally each role has a lead and one or more deputies. The lead has primary responsibility for a role and will also identify and mentor deputies (as needed) in order to maintain continuous support. Some roles are currently unfilled and we invite community members with an interest to inquire about volunteering by emailing to coordinators@astropy.org. The Astropy project is made possible through the efforts of community members that perform numerous important roles. This encompasses a broad scope of responsibilities ranging from direct package development to communication, distribution, and managerial activities. In this section we list the responsibilities for each of the identified project roles. The list of people fulfilling these roles is found in the Roles section. 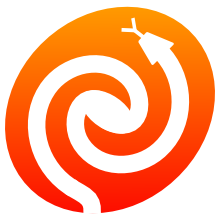 Astropy project packages are under continuous development by professional astronomers and software developers from around the world. The Project is community-driven, with decisions generally made by consensus, but with oversight and organization provided by the coordinating committee. Kaylea Nelson for designing this web site. Kyle Barbary for designing the Astropy logos and documentation themes. Everyone on astropy-dev and the astropy mailing list for contributing to many discussions and decisions! If you have contributed to the Astropy project and your name is missing, please send an email to the coordinators, or open a pull request for the credits document in the astropy repository.